Not sure whom you can trust with your children? Are you looking for consistent quality care from an interactive, professional and dependable nanny? Nannies by the Bay is the solution you have been seeking! With Nannies by the Bay, you can enjoy the benefits of a full-service nanny placement agency with the confidence that your children will be safe and happy. We provide an extensive screening process to ensure the highest level of care. Our full-time nannies and household staff have a passion for quality care, impeccable references and years of experience. Reliable transportation (Negotiable for family use). Most importantly, our Nannies and domestic professionals are committed to providing loving care to your children and family. We personalize every placement to ensure our professionals are compatible with the interests of your customized needs. 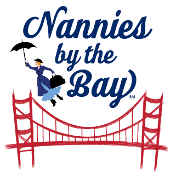 Nannies by the Bay services the San Francisco Bay Area, including but not limited to the following areas - San Francisco, Marin, East Bay, Peninsula, South Bay, Napa and Sonoma counties.